The ability to transfer wealth from one generation to the next is the driving force behind ending intergenerational poverty. Most wealth in the United States is gained from the appreciation of home values over time. Twenty-five percent of Americans' wealth, the sum of all physical and financial assets, comes from the increased value of homes -- and that number is nearly 50% for people of color. However, according to a new study by the Russell Sage Foundation, household net worth declined steadily between 2007 and 2013. While wealth certainly was lost at the top of the distribution, households at the lowest end of the spread were hardest hit, losing 60% of their wealth. Since 2007, approximately one-quarter of all Latino and African-American borrowers have lost their homes to foreclosure or are seriously delinquent, compared to just under 12% of white borrowers. The problem is not just that so much wealth was lost, it's that the prospects for reversing that trend are so few. Seven years after the Great Recession, credit to buy a home is not generally available, and experts don't believe it will be any time soon. Even if credit were more widely available to low-income people, other market realities will likely block them from homeownership for many years to come. The FICO score, for example, is the key metric used by lenders to evaluate a borrower's creditworthiness. But because the foreclosure crisis disproportionately struck low-income families and households of color, millions of low-income people will have to wait five to seven years to rehabilitate their score just to be eligible to apply for a mortgage. Similarly, escalating student loan debt is shutting the door to homeownership. Today's average starting salary for college graduates is $45,000, yet two-thirds of Americans leave school with more than $25,000 in debt; one in 10 now owes more than $54,000. For years to come, most recent graduates will not be able to meet new mortgage rules that require total debt not to exceed 43% of income. Frustratingly, all of this is happening when there is a once-in-a-lifetime number of affordable homes on the market because of the foreclosure crisis. Not only can't low-income people get the financing to buy them, but the homes are being purchased by institutional investors at a record pace. Since 2010, institutional investors have spent $22 billion to buy low-cost, foreclosed single-family homes with the intent of holding them as long-term rental properties. That number is expected to grow exponentially over the next few years. Essentially, these are now permanently unavailable to low-income people. While mortgage lending conditions and requirements are unlikely to change dramatically, there are steps that could be taken toward more equitable access to homeownership. Since the Great Recession, sub-prime lending has been virtually eliminated. Criticisms of the practice are real, but programs that combine subprime loans with comprehensive home ownership training courses and support have proven successful. Recent efforts to assist lower-income families could go a long way toward changing the landscape. There is a growing national focus on making a college diploma more affordable. For example, a movement toward a $10,000 bachelor's degree has sparked real action from policymakers. Progress on education affordability would mean that young people could graduate without being saddled with debt that prevents them from accessing a mortgage later in life. The Cities for Financial Empowerment Fund is working with local government agencies around the country to assist low-income people in reducing debt, improving credit and building savings. 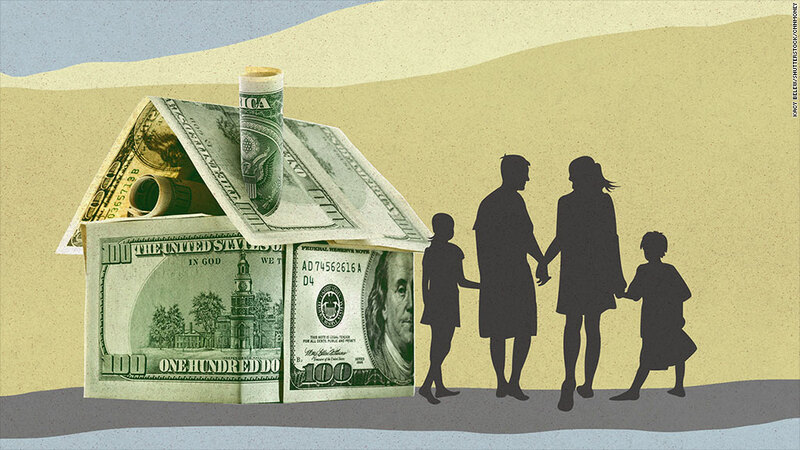 A recent report from the Census Bureau found that the median wealth of the poorest 20% of American households was negative $6,029 in 2011, compared with negative $905 a decade ago. If we want to reverse this trend and narrow the wealth gap, we need a better path to homeownership for low-income families. Ben Hecht is president and CEO of Living Cities, an organization that harnesses the resources and knowledge of its 22 member foundations and financial institutions to benefit low-income people and the cities where they live.